I'm DONE with Goals. Done. Absolutely nothing has gone like I planned it. And before you roll your eyes and try to remind me that I promised to be done with the victim mindset this year, hear me out. They completely and utterly flop. Like hide under the covers, ugly cry, and binge watch old seasons of Law & Order SVU, just to escape the reminders of how badly things turned out. Like leave town and hope that when you return, everyone has forgotten how badly things went, including yourself. like "Woah, I would've never picked this for myself"
like "I would've never even fathomed as as an option!" like "Are you sure I accomplished that?" Becoming a full-time cello teacher - Yes, I attained that, but only after finding out that my specialty of teaching is not what I originally intended it to be and then to have that career get cut short - Thanks genetics! Okay, take my 2014 Artist Residency... I applied for it, pre-diagnosis of my Essential Tremor, thinking I'd come home from 6 weeks in the mountains with a simple album of cello compositions. Nope. Even better. Post-diagnosis, I came home with an entirely new instrument and a new career. Now zoom forward to most recent, recording my first studio full-length - I incorrectly assumed it'd take "max, a couple months." Well, here I am just under a YEAR later, seemingly back at square one. We (or rather, I) try to make things happen with sheer will-power or force. They move out of the way. 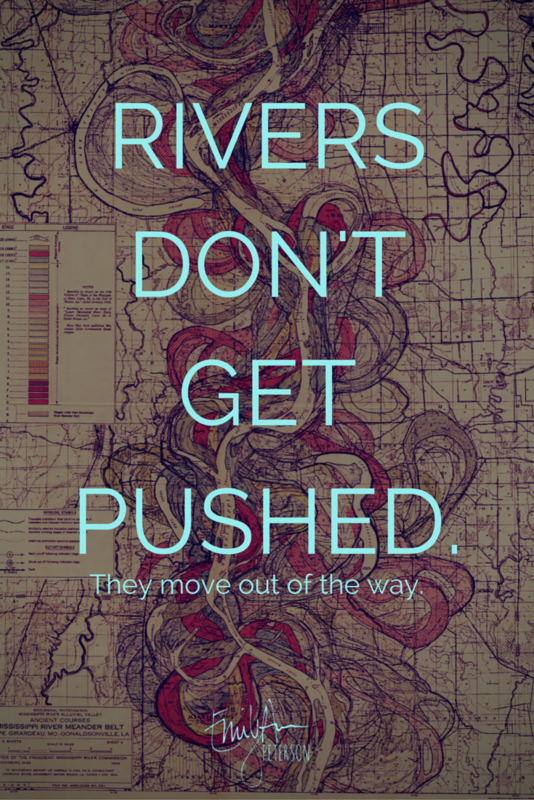 You can't push rivers. It's impossible. You either hold them back completely or they go around you with no thought to how hard you're pushing. Leo Babauta has some great thoughts on all this. His minimalist philosophy advocates for ruthless elimination of goals. He explains, probably much more eloquently than myself, why goals only hold us back. Goals themselves don't actually attain anything. Goals limit our expectations. They make us feel bad. They keep us from living in the present, by aiming for the future based on our past. In any one single direction at a time. Because I have a feeling that if we just keep enjoying moving forward, connecting with others along the way, and exploring life together, we all might end up in places we'd never dreamed for ourselves.